FOR someone who appeared for the civil service examination some 40 years ago, missing a newspaper advertisement for employment is nothing unusual. If you are a retired secretary to government of India, or a former chief secretary of a state, the newspaper advertisement issued by global metal major Vedanta Resources Plc, London-listed FTSE 100 company with an annual revenue of USD 7 billion, is meant precisely for you. The company has asked “former bureaucrats with IAS background and former members of judiciary” among others to apply for its advisory board which will function as “think-tank” and will closely work with its CEOs. The advisory boards are being formed for Vedanta Group companies such as Hindustan Zinc (Rajasthan), BALCO (Chhattisgarh), Vedanta Aluminium (Orissa), Sesa Goa and Sterlite Industries India Ltd (Tamil Nadu). The appointment will be for a two year term, and “remuneration and rewards will be befitting the role and stature” the advertisement says. Any doubt? You need to contact at 022-28302454.
a) Mathew C. Kunnamkal, a 1976 batch Kerala cadre IAS, presently special secretary and financial adviser in the department of chemicals and petrochemicals in the ministry of chemicals and fertilizers has been appointed as Director General, National Institute of Rural Development in place of BK Sinha, a 1975 batch Bihar cadre IAS. b) The Appointments Committee of the Cabinet has approved the premature repatriation of Avani Vaish, a 1975 batch MP cadre IAS and Managing Director of TRIFED to his cadre with immediate effect. c) TS Kripanidhi, 1982 batch IDAS officer has been appointed as Director (Finance), NSG and financial adviser, CRPF (joint secretary level) under the ministry of home affairs. The Central Civil Service Cultural and Sports Board is organizing an inter-ministry music, dance and short play competition between February 22 to 25, 2010 at Mavalankar Auditorium, Rafi Marg, New Delhi. The last date of entry is February 15, 2010. No one retires now at 60. 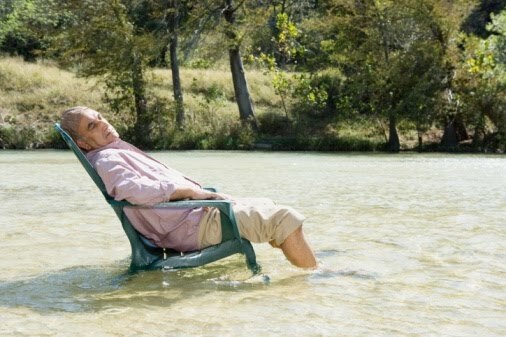 No one has the time to relax like the one in the picture you have used. There are many active former civil servants who are 75 and above.